Blogging is one of the best things sometimes - it helps me to find all kinds of places I'd have never known about before. One such place is StreetHub. I think I spent nearly an hour looking through all of the great things there. 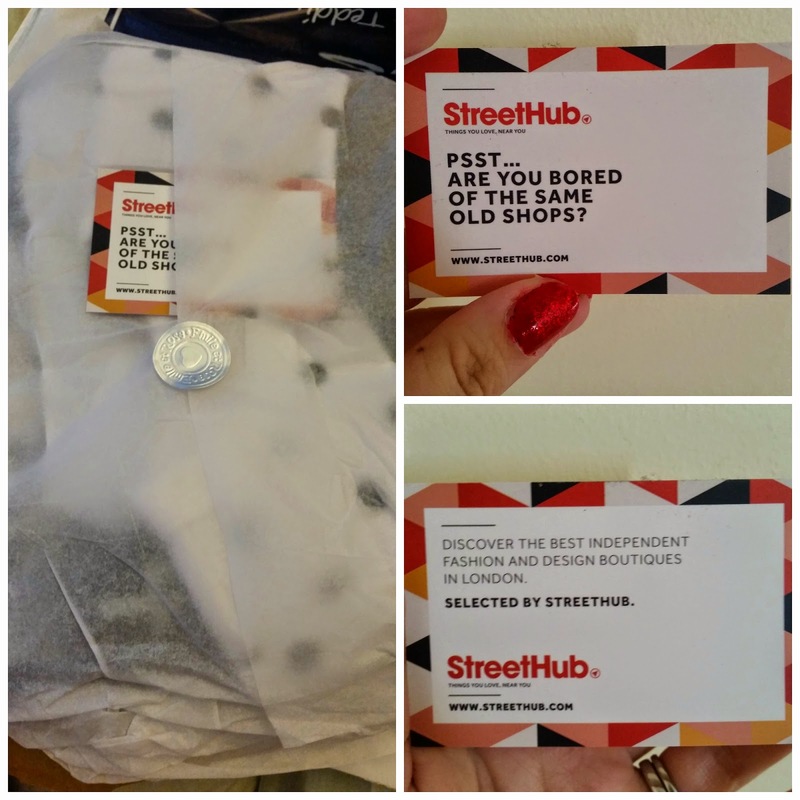 StreetHub features a collection of boutiques all gathered together on one handy website. If you live in either London or Brighton, you can reserve products to pick up later in the day. If you don't, you can have items posted to you. 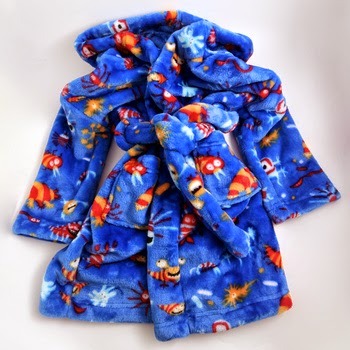 For D, I really loved this dressing gown. 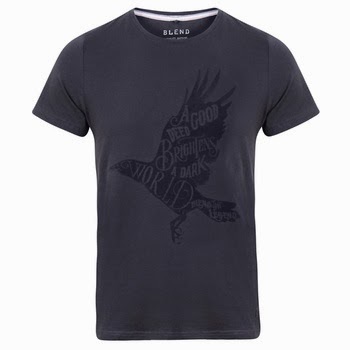 He's really in to space at the moment and I think he'd love the colourful design of this. 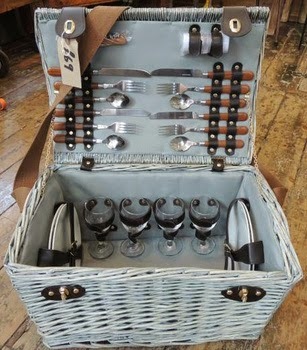 For all of us, I'd love this picnic hamper. It's something I've been really thinking about getting for a couple of years. I'm not sure how practical it would be though! 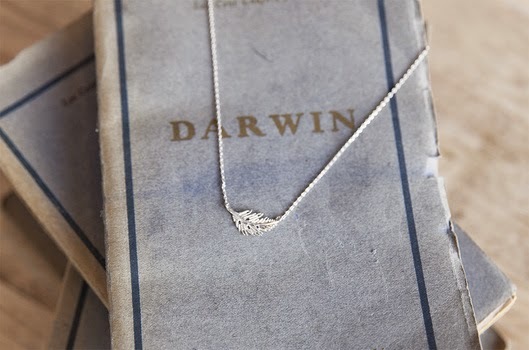 For just me, I really like this delicate Feather necklace... I'm definitely a silver jewellery kind of person! 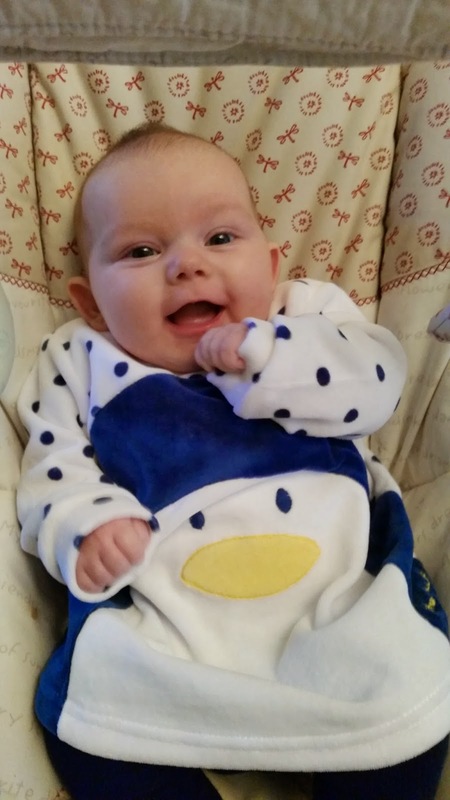 Finally, for the newest addition in our lives, this Tutto Piccolo Penguin dress pretty much whacked me over the head. This is way way too cute. The packaging for the dress was really lovely - with tissue paper and this business card. The dress was also packaged with a bag from the boutique - Teds. The dress itself is really lovely. 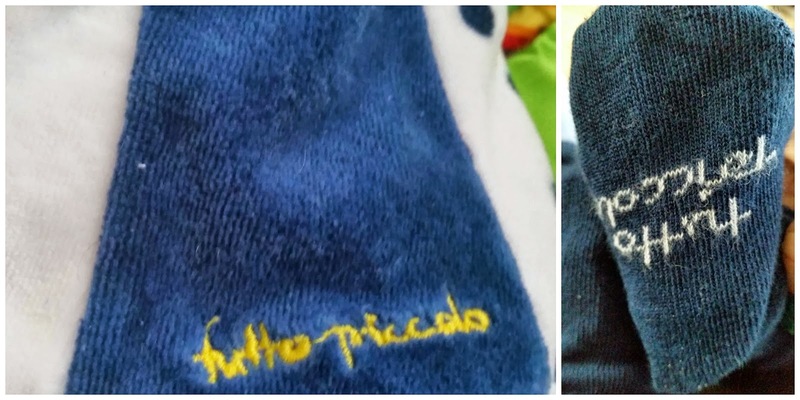 I'd not heard of Tutto Piccolo as a brand before but now I want to buy all of their products for Roo and D. The dress has received a lot of admiration from others - no surprise given how cute it is. It also has a range of really nice little details that make me love it even more. I love the detailing on the bottom of the dress and the soles of the tights. Another excellent detail is that the dress has poppers all the way down the back - making it one of the easiest dresses to put on Roo that I've found so far - and she gets a bit of tummy time while I'm doing the poppers. I think Roo looks pretty happy with it! This is fast becoming a favourite outfit in our house. D gets involved and chooses what she is going to wear most days and this is one of those outfits he keeps requesting. 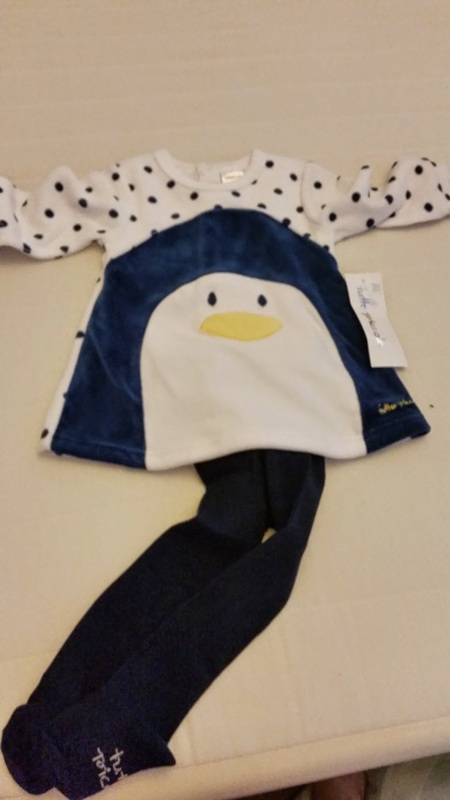 Streethub sent me the penguin dress for review purposes. I was not required to write a positive review. All words and opinions are my own.